Since mid-March, the company’s OHM XS750 has roamed Capitol Hill every day, always ready to uphold the Other Coast Café’s daily 11am-9pm delivery schedule – helping the café’s employees promptly deliver its delicious sandwiches to hungry customers. “We have about seven people who ride the OHM, all with different heights and skill levels. We use it every day, during daylight and evening. The electric bike takes us up and down the hills of Seattle in all kinds of traffic. It can handle it with ease. Its reliability has meant that we can be on it every day without incident. 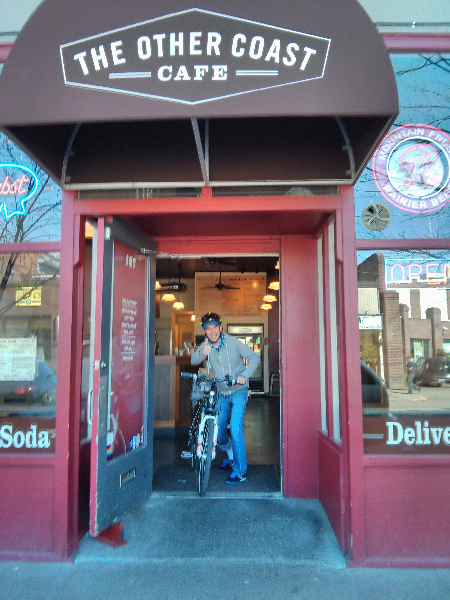 My staff likes the pedal assist and that the electric bicycle rides and handles just like a regular bike. It’s easier to park, as well! 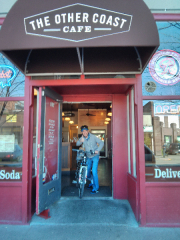 Do you have a local restaurant or business in your area that makes deliveries via electric bike? If so, please share in the comments section below. Does the food get cold because of the wind? 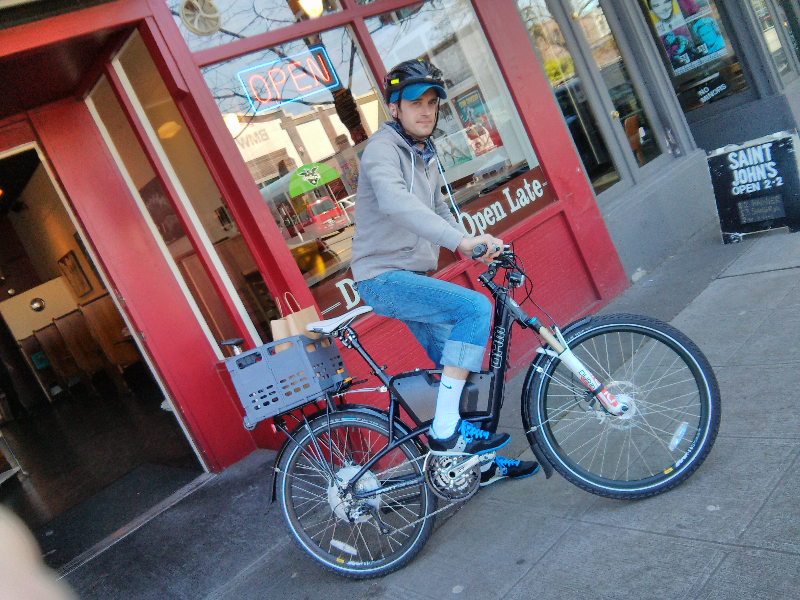 Inspiring and novel story on OHM delivery bike use in Seattle . No shortage of hills to test the endurance of both rider and e-bikes. I once flew my motorcycle to England during a dock strike in 1966. I’m seriously thinking of flying my Pedego to Scotland as w-bikes over there are mostly pedal assisted. I am partially disabled want my Pedego Interceptor as my reliable ride when there instead of wasting time on various and sundry rentals. How about an article on who flies the heavier e-bikes, how to go about it, charging e bike batteries with international electric adapters and will the rider have to pay import duties to British Inland revenue as. Will our US bikes even be allowed into the country as I think British e-bikes are only permitted to a max of 16 mph under electrical use .??? Thanks for the suggestion. I will see if I can put together an article on this. Was there any mention of increased sales, improved service or ROI? I would think more businesses would want to get into delivery with an option that is safe, fast and affordable – and does not carry the same insurance costs of a car, motorcycle, moped/scooter. And as long as you are not in Seattle – there are solor charging solutions that make they bikes even greener.